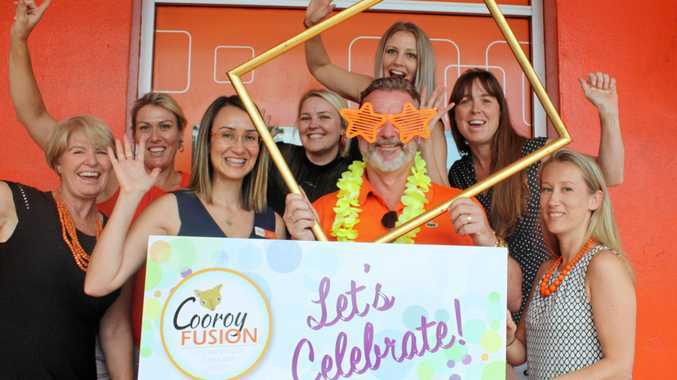 IF YOU were strolling the main drag of Rainbow Beach or surfing the point at Double Island on the weekend, you could have rubbed shoulders with two of Hollywood's top A-listers without even knowing it. 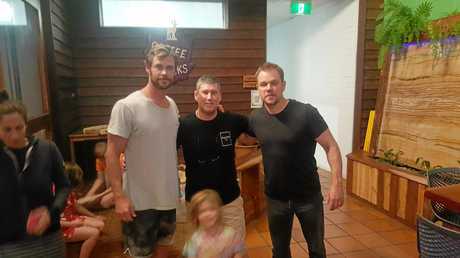 Thor star Chris Hemsworth brought best mate and US movie mega-star Matt Damon to the Gympie region town - in what might be becoming his new favourite hang after he had only good things to say about the place when he visited last June. The Hollywood stars, who have taken trips around the world together before, stayed locally at Rainbow Beach for the weekend while they lapped up the magic of Double Island Point, took their kids to the park and dined with their wives and tribe of children at the restaurant at Coffee Rocks at Rainbow on Saturday night. Coffee Rocks owner Michael Read said the Cooloola Coast was the perfect place to avoid the hype for the famous families; just this morning the barefooted Hemsworth was sitting with his family outside the cafe having coffee while locals walked past either unfazed or unaware. 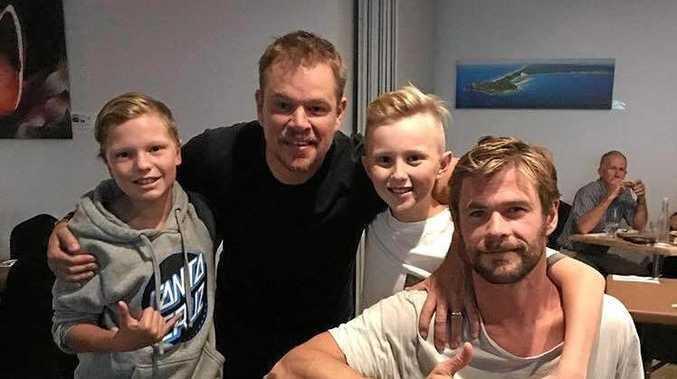 FLASHBACK TO HEMSWORTH'S LAST VISIT: Thor on holiday: Chris Hemsworth is here! "If he was in Brisbane there'd be 200 people around him wanting a photo," Mr Read said. "They blend into the community - they can relax and just become normal people"
"They're just down to earth people." 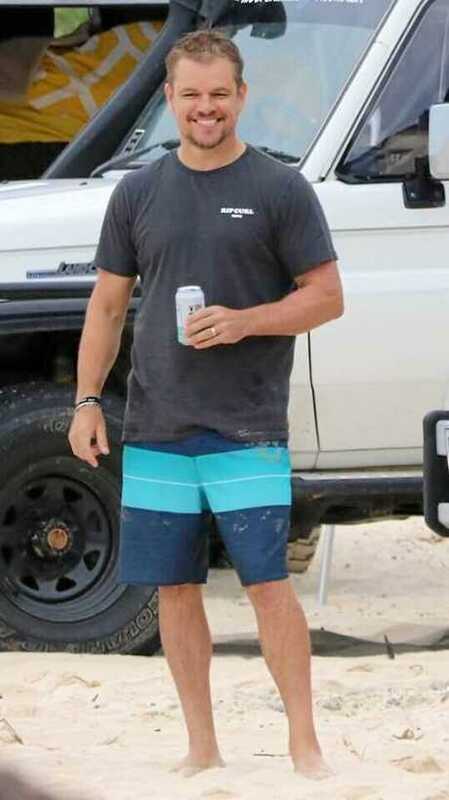 Hemsworth, a keen surfer who lives in Byron Bay (between Hollywood sets) with wife Elsa Pataky and his three children, spent Sunday with Matt Damon and his family surfing at Double Island Point, Mr Read said. 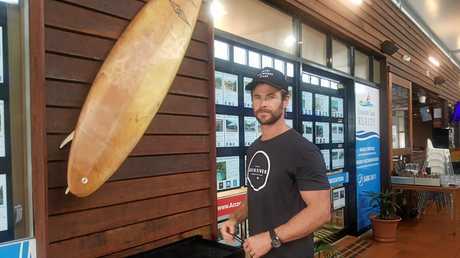 It's Mr Hemsworth's second noted visit to Rainbow Beach after he stayed for a week with his family last winter, visiting the cafe each morning for breakfast and an early morning almond latte. He was heard to say on his last visit it had been the best holiday he had with his family, thanking the staff where he stayed for respecting his privacy. 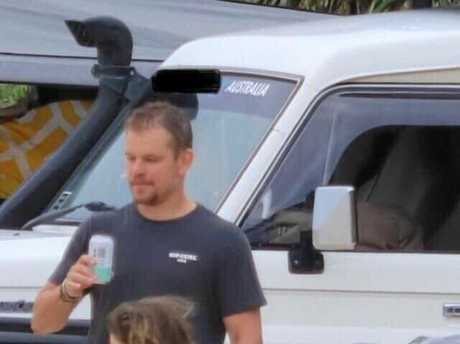 Damon left Rainbow Beach yesterday, while Hemsworth and his family enjoyed one last morning at the seaside town before heading off this morning, Mr Read said. The cafe manager, who has entertained surfing legends Kelly Slater and Joel Parkinson in the cafe before, thinks there's a niche market for celebrity tourism at Rainbow Beach. "We believe this town is perfect for more celebrities to come here," he said. As long as there are waves at Double Island Point, almond lattes at Coffee Rocks and loyal resort staff who let them be themselves, the Hemworth's are sure to return soon.